WHAT IS THE MILAN DESIGN WEEK? The Milan Design Week is at present the most important Design and Furniture show of the year. Located in North Italy, it’s a global design event which includes all design industries from all part of the world, taking place every year one week in April. Milan Furniture Fair 2019 took place from Tuesday 9th to Sunday 14th April. It is at present the most important Design and Furniture show on global scale. I feel so lucky to live close to this super important event. Indeed, I’ve been visiting the MDW for years now: I started to go in Milan more than ten years ago and visited the event first as a design professional, than as a press professional and trend forecaster. 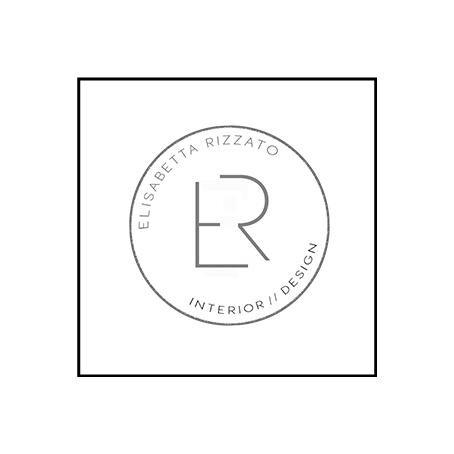 During these years, I saw how this event has grown to become really the key event of the year for all interior and design professionals &lovers. The Milan Furniture Fair reveals the biggest design trends for the upcoming years in interiors and design. 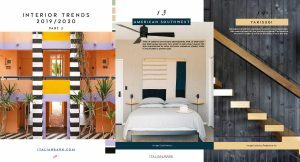 the second issue of our Trendbook N/T , with the top events and a forecast of the upcoming design trends. a new Trend Webinar, in collaboration with SOMA. Both projects are totally independent and non-sponsored. Know more about them in this page. Published once a year, N/T is the Trendbook which forecasts the top design and interior trends for the following year. N/T is written by our team after the Milan Design Week, which is the main design event at present on a global scale. N/T features the most interesting news and trends we spotted at the event, new designers, colors, materials, to inspire you for all the following year. The eBook is totally unsponsored and independent. FROM MILAN DESIGN WEEK 2019. N/T is a report on news and trends from Milan Design Week 2019, the biggest international interior and design event, which includes Salone del Mobile furniture fair and Fuorisalone events. The publication is an independent and non-sponsored recap of the most interesting news from MDW and a forecast of the latest trends in interiors and design. The eBook consists of almost 200 pages of design news, including the most beautiful installations, new collections from well-known brands, new designs by young designers and new brands. 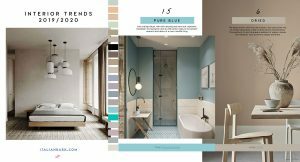 The publication also includes a full report about the latest trends spotted in Milan, with a selection of colours, materials, patterns and a special chapter dedicated to circular design. N/T is intended for all design-lovers and design professionals. Why a book about the Milan Design Week? Milan Design Week is currently the most important Design and Furniture showcase of the year. Located in Northern Italy, it’s a global design event including design industries from all over of the world, which takes annually for one week in April. Milan Furniture Fair 2018 took place April 17th-22nd. Due to its international acclaim, Milan Design Week is the best event to spot the latest news and trends in interior and design. Why is this not only about Milan Design Week? The Milan Furniture Fair, indeed, reveals the biggest design trends for the future, because in Milan design and furniture brands present their new collections for the first time and independent designers showcase their works. That’s why this publication is not just about the most recent Milan Design Week, but about what will be next in interiors and design for the following years. AS NOTED DURING THE MILAN DESIGN WEEK 2019. TO LAST IN 2020. The eBook is in English. Is this eBook right for me ? N/T is a tool for design professionals and design lovers, to be inspired and stay updated with the most current news and trends. Why the cost of the book? The project is totally independent and self-financed, making it free of sponsors and advertising. N/T stands for ‘News/Trends’ and also for ‘No Thanks’. The small cost of this publication is set to cover part of the expenses, including original photos, graphic layout, tools for publishing, contributors, and editing. If you are thinking that the final cost is cheap, compared to the content value of what you will get (and yes it is, trust me), so thinking there must be a catch….well, I invite you browse the blog to learn more about how I work. N/T IS THE TRENDBOOK BY ITALIANBARK. N/T second issue follows the very first release published after Milan Design Week 2018, that was sold in almost 100 Countries, truly forecasting what we are seeing now in interiors and design. How will I get the eBook ? N/T issue 2 will be published on May, 2nd. You will get the trendbook via email as a pdf to be downloaded after May 2nd. After you place your order and the payment is completed, you’ll get then an email with inside the link to download the book directly. The link is unique, linked to your order and personal, and it is striclty forbidden to share it in any ways. You can pay with Paypal or credit card and will get a receipt if you are a private, an invoice if you are a company/professional. By clicking the “proceed to Paypal” button you will be redirected to a page where you can also add your credit card details even if you don’t have a Paypal account. Feel free to contact me at the e-mail info@italianbark.com for any enquiries. Thanks for your interest! By subscribing to the newsletter here you will get a 20% discount on the eBook price and the access to a password-protected area of the blog, which already contains three trend reports, and will be updated soon with new content. Our Trend Webinars will be covering the main European design fairs and the circular design theme starting from the Milan Design Week 2019. Our webinars are totally unsponsored and independent. 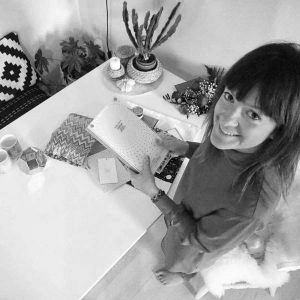 Hello, I’m Elisabetta and I’m the creator of the Italian design blog ITALIANBARK. Created in 2013, IB is now one of the most read Italian design blogs as well as a multi-award winning website with an international team of contributors spread in different Countries. My past trend guides have been downloaded by thousands of readers from different countries. Thanks for taking the time to read this page and enjoy reading !